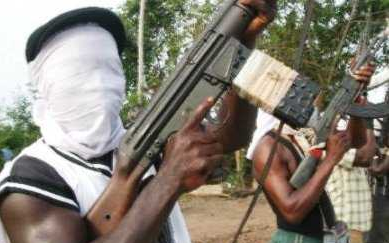 Gunmen Saturday night stormed Ozochi community in Ahoada East Local Government of Rivers State and killed eight persons, including the oldest man in the community. The gunmen were said to have shot sporadically as they made their way into the community, even as residents scampered to safety. Houses, shops and other property were destroyed by the gunmen, who wasted no time to set anyone in sight ablaze.